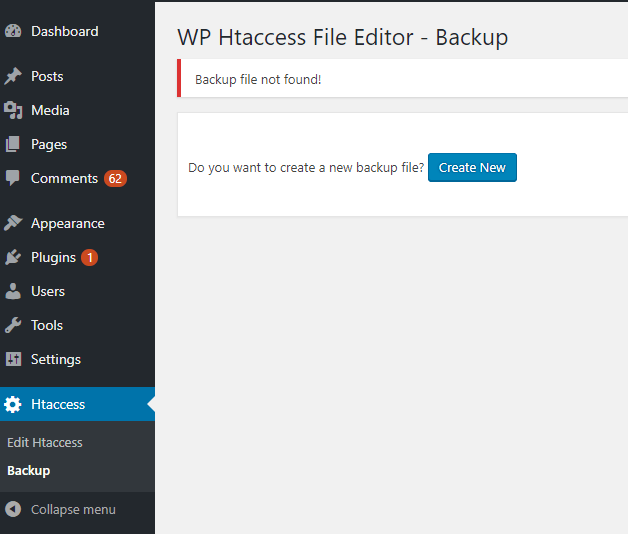 The WP Htaccess File Editor enables webmasters to quickly and easily edit and back up the .htaccess file from the admin panel. WARNING: Any error in the .htaccess file may cause malfunction of your site! For more information, please visit Apache Tutorial: .htaccess files or The Ultimate Guide to .htaccess Files . 1. Log into your WordPress admin panel. 2. 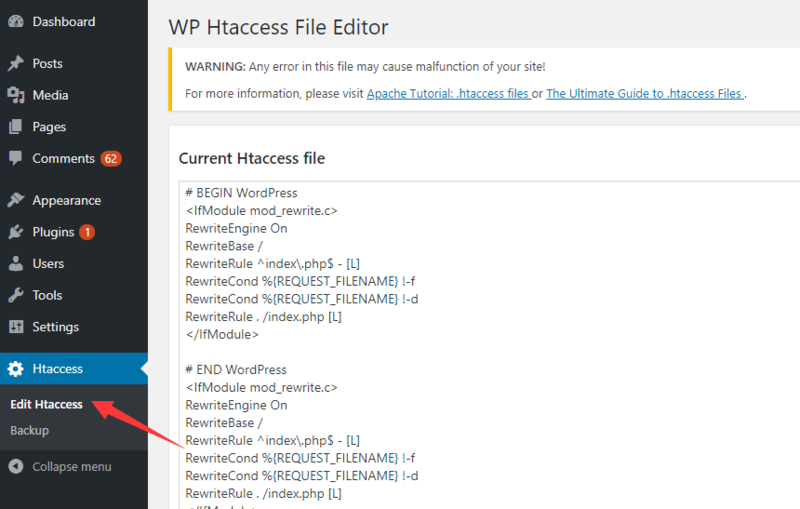 Search the WP Htaccess File Editor plugin on the Add Plugins page. 4. 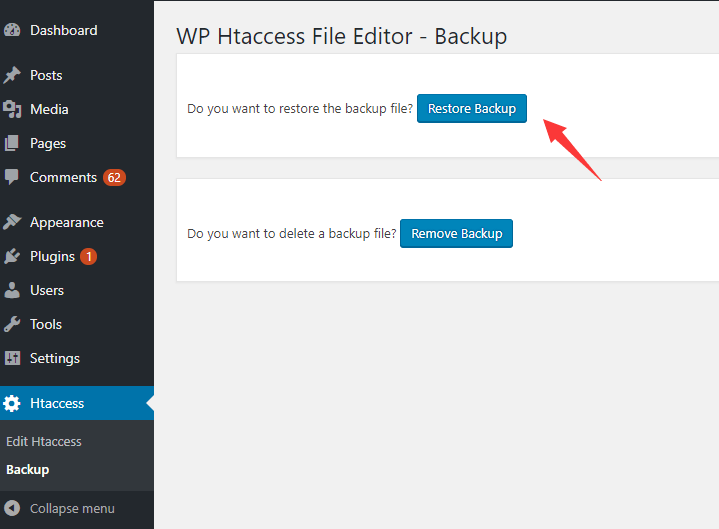 Click the Edit Htaccess to start editing your .htaccess file. 5. You can also create a backup to prevent data loss. 6. Restore or delete the backup when needed.